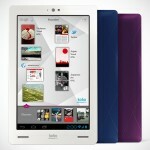 along with the announcement of the Aura eReader, Kobo has introduced three new tablets that what you to go “beyond the book”. as expected, the three tablets, namely the Kobo Arc 10HD, Kobo Arc 7HD and Kobo Arc 7, are as pretty as their new E-ink counterparts. even though branded as tablets, Kobo insists that these devices’ focus is still on reading, bolstered by Kobo’s unique user experience, Reading Life, and the newly introduced magazine and kids experience. 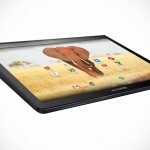 powered by NVIDIA Tegra 4 quad-core processor clocking in at 1.8GHz with 2GB of RAM, the flagship Kobo Arc 10HD tablet features a 10-inch high-definition multitouch display boasting 2,560 by 1,600 pixels, supports up to 1080p video playback, a 1.3MP HD front-facing camera, dual stereo speakers, built-in WiFi and Bluetooth connectivity, supports Miracast for WiFi media streaming, and over 10 days of battery life when set on Reading Mode. then again, you probably won’t yield that projected 10 hours, cos’ it is after all an Android tablet which opens you to a world entertainment and productivity other than reading with over a million apps and games to choose from on the Google Play store. for those prefer a more handier, book-like package, there’s the Kobo Arc 7HD tablet to content with. driven by NVIDIA Tegra 3 1.7GHz quad-core chip, the Arc 7HD features a 7″ 1,920 by 1,200 HD+ display packing 323 ppi, up to 1080p video playback, 1GB of RAM, a 1.3MP front-facing HD camera, ad up to 8 hours usage from its 4,200 mAh battery pack. there’s also a “lesser” 7″ – the Kobo Arc 7 touting a 1,024 x 600 display and powered by a 1.2GHz quad-core from MediaTek and 1GB RAM – which offers you compact, multimedia tablet catering to both your reading and entertainment needs while on the go, without breaking the bank. 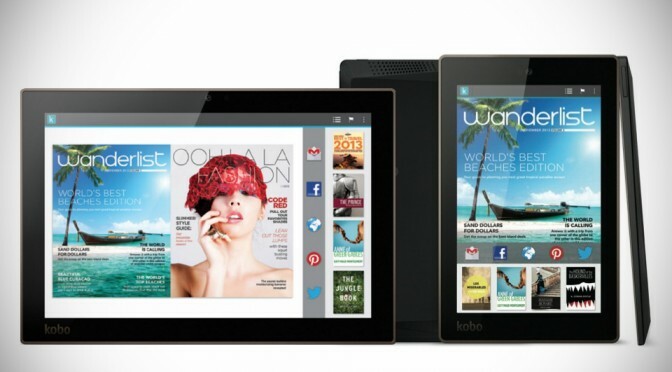 the Kobo Arc 7HD and Kobo Arc 7 are priced at $249.99 and $149.99, respectively. 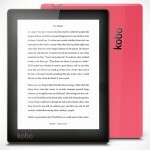 as for the Kobo Arc 10HD, it will be available on in black with a $399.99 retail sticker. 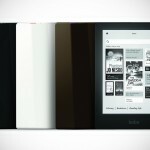 the new Kobo Arc Tablets will be officially available a month after the Aura eReader, on the October 16 and all three are Google Play Certified tablets running on Android 4.2.2 Jelly Bean. unfortunately, Kobo has been rather conservative about the images for these new offerings, so you have to hit up the official website to steal a few more, along with the full spread of specs.